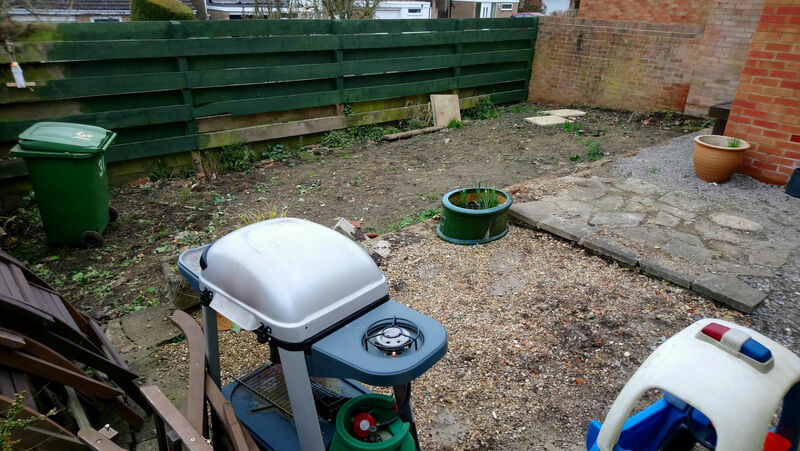 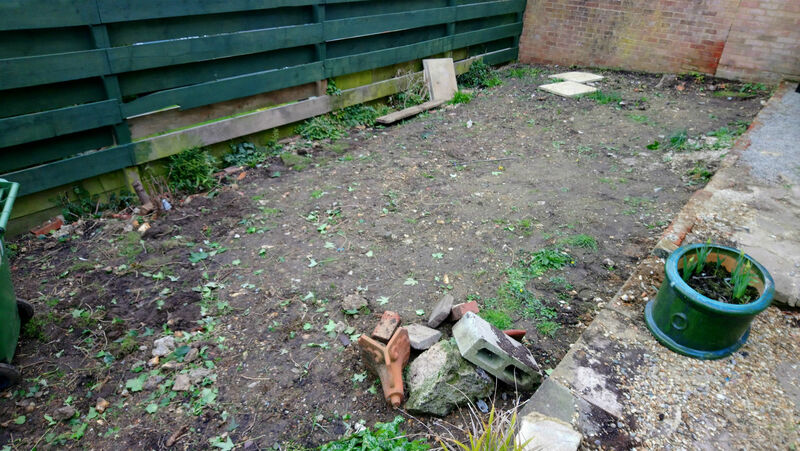 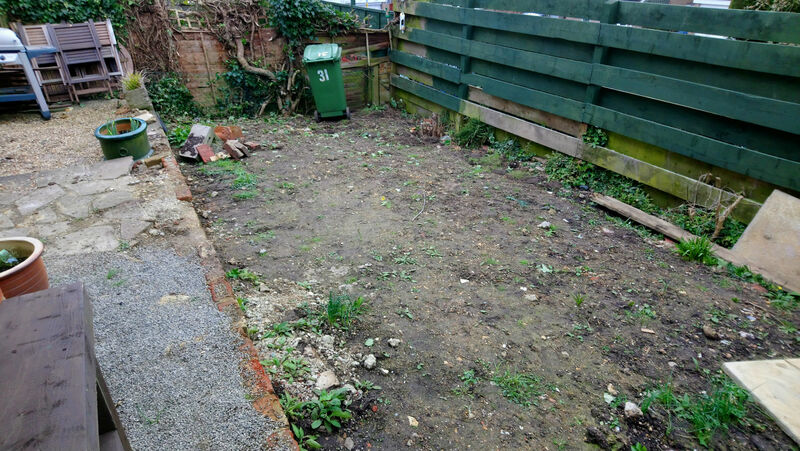 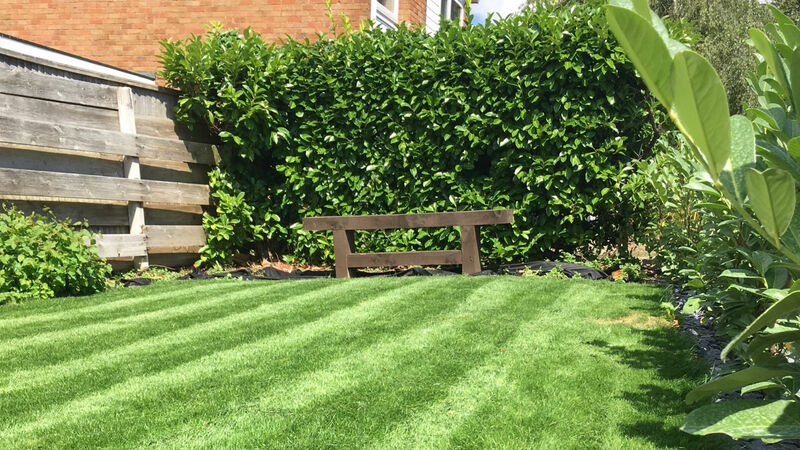 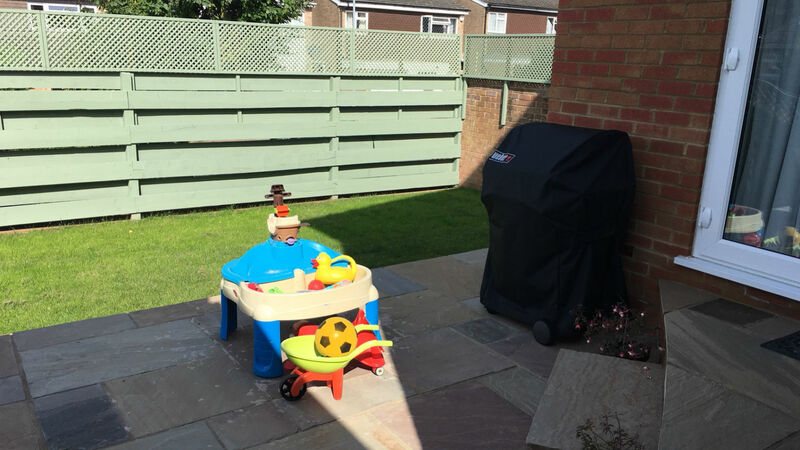 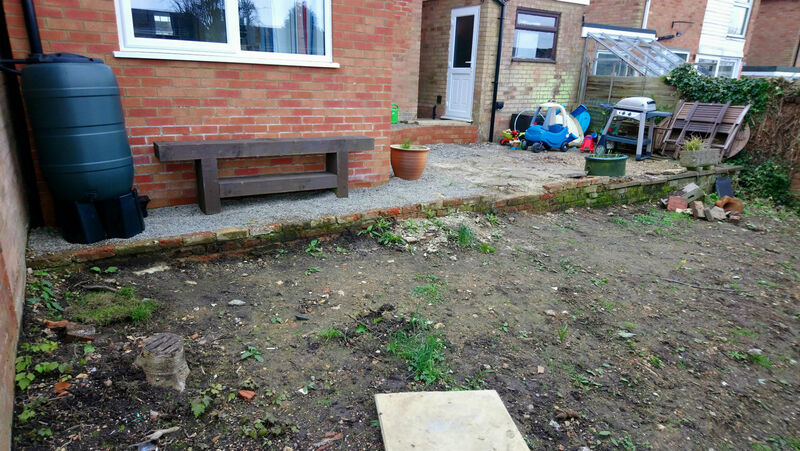 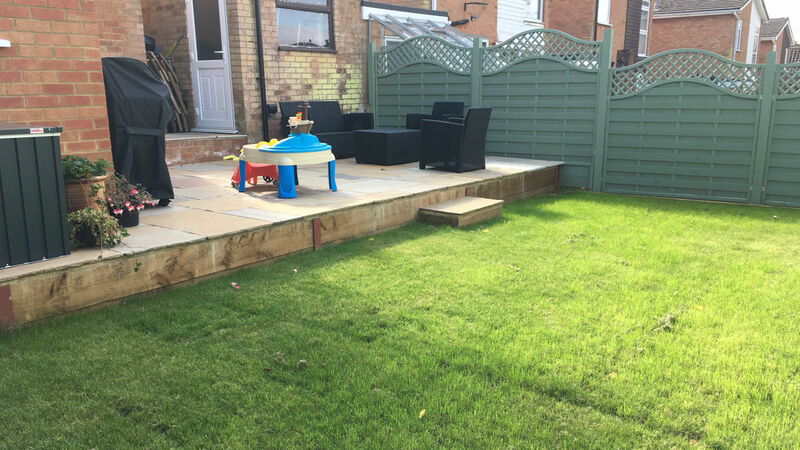 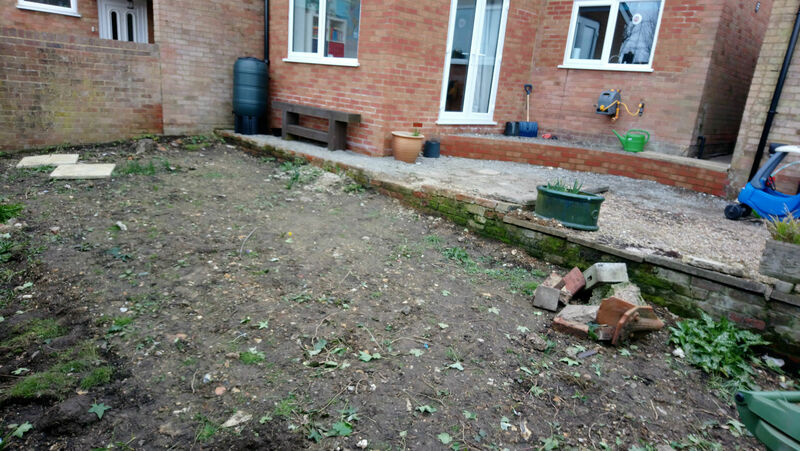 This small back garden on a hill in Hazlemere was in need of a significant makeover, including creating retaining walls with steel supports and treated sleepers to establish more practical levels. 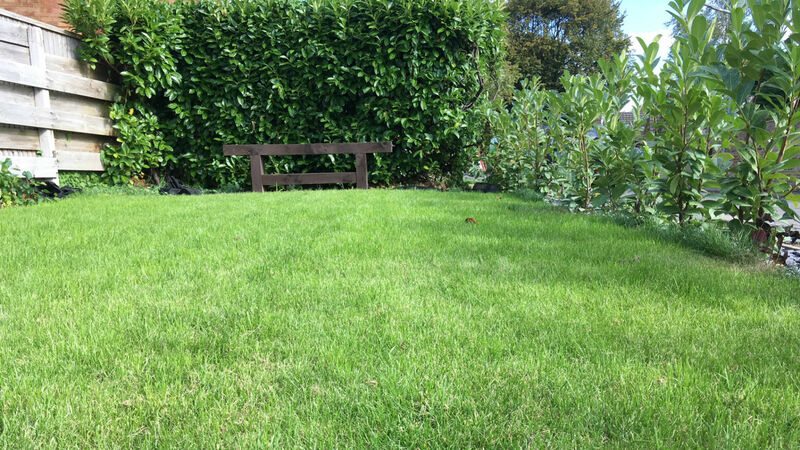 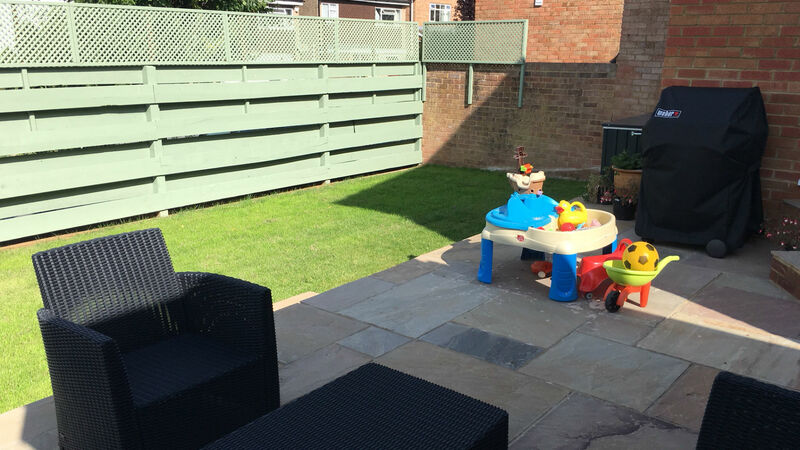 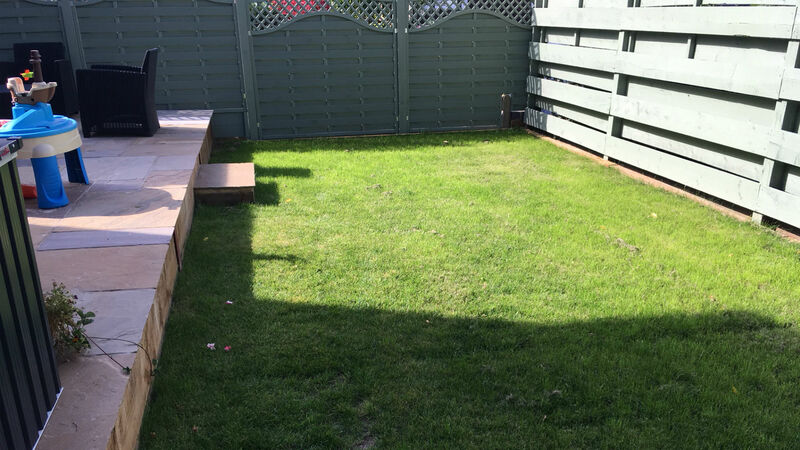 The new lawn provides an area for the children to play, while the trellis panels that we fitted to the top of the back fence improve the privacy from surrounding properties. 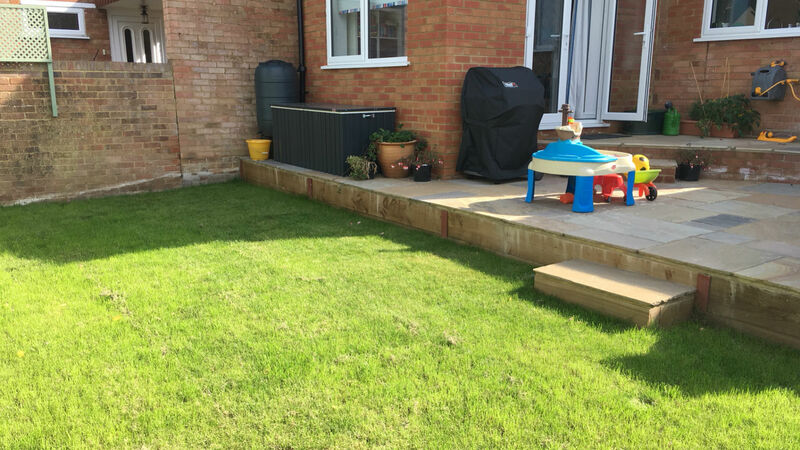 A step from the lawn leads to the main patio area which is now natural finish sandstone and another step links this area to the top level which joins the patio doors from the house to the garage. 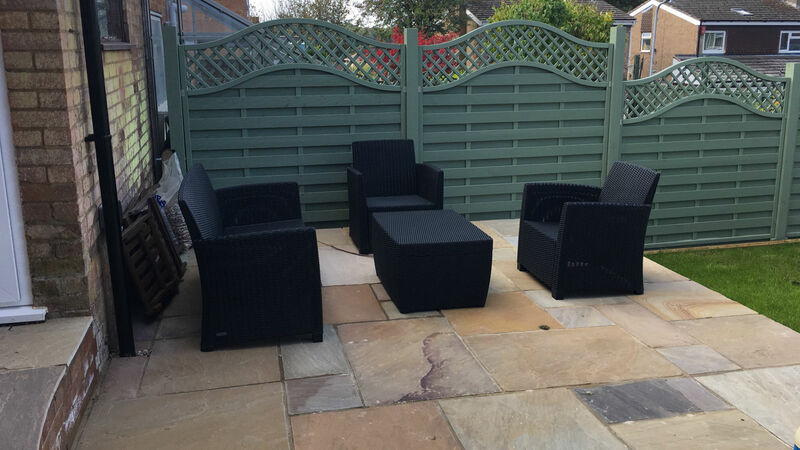 The client was very happy with the transformation, including the attention to detail and the way we worked around various challenges during the project.